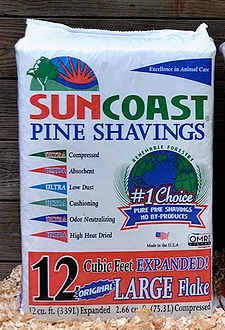 Expands to 12 Cubic Feet Large Flakes provides bedding for horses and other animals! Large Flakes provide Fluffy Bedding for Maximum cushioning for horses and other animals! ULTRA compressed bale Expands to a full 12 Cubic Feet! !